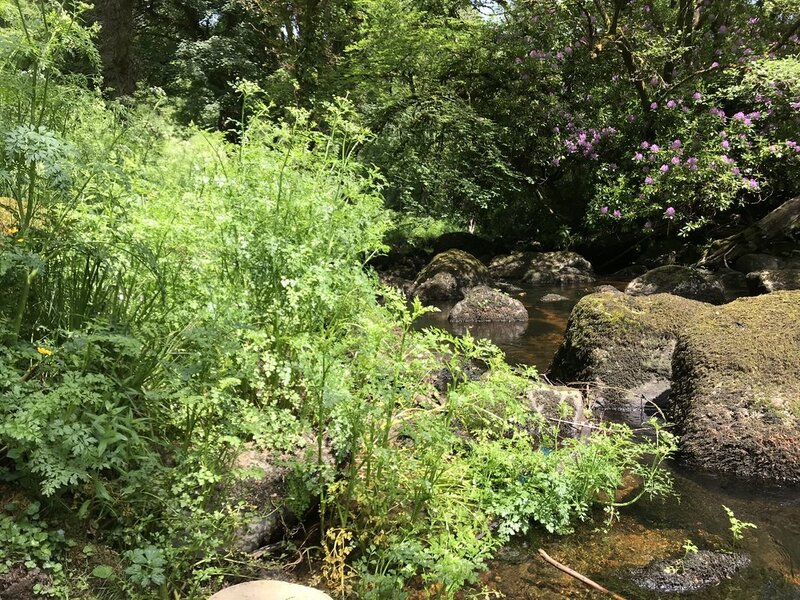 After a few days travelling and in meetings in Luxembourg and London, it was great to get back to Devon and the banks of the Teign today. 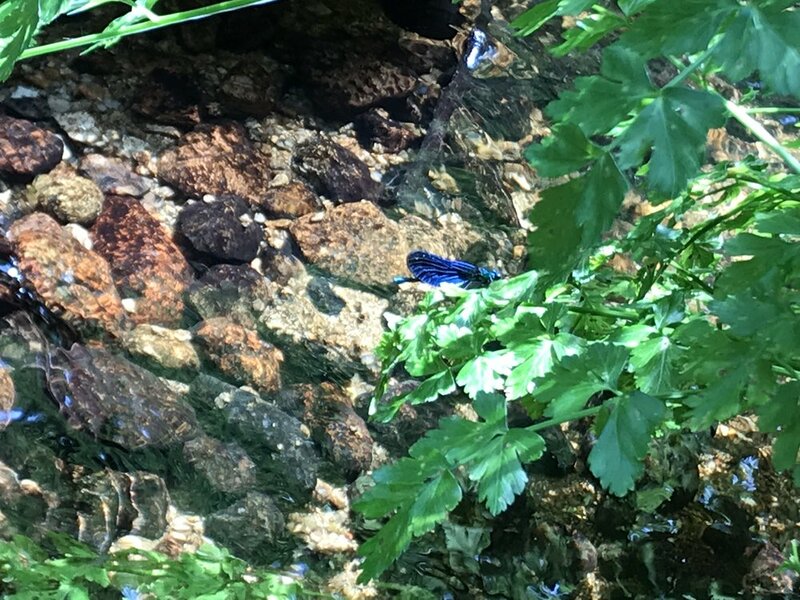 For the first time this year I saw a group of damselflies chasing each other, and resting in the sun on the granite boulders and lush vegetation. There were around a dozen altogether. These iridescent blue-green damsels, nearly 5cm in length, are the male ‘Beautiful demoiselle’. Between May and August they are often found near the banks of rivers and streams with sand or gravel bottoms. Beautiful demoiselles or ‘Calopteryx Virgo’ are mainly found in the west of Britain which is why I was not used to seeing such stunning coloured damselflies in East Anglia. Damselflies can be distinguished from Dragonflies because they fold their wings when at rest. Their flight is also less strong and purposeful than Dragonflies.